We have a wide variety of investigation equipment that we use and the list below covers the main essentials to conduct a complete and thorough investigation. Each member has variations and additional devices to help make our investigations simple enough to gather evidence, but still with enough complexity to thoroughly determine what kind of activity may be taking place. This list will give you an idea of some of the things we have and how it is used. 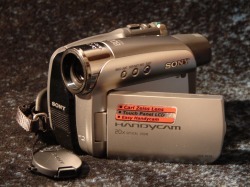 Sony Handicam Mini DV Video Camera with Night Shot. This is an excellent way to capture video evidence on a mini DV tape, and with the Night Shot feature you can record videos in extremely low-light conditions, an absolute must for night time investigations. The only disadvantage to using video tape recorders is that you have to remember to load a new tape every hour, because the mini DV tapes are 60 minute tapes. If you don't mind collecting a lot of video tapes, these devices are perfect and take outstanding video. 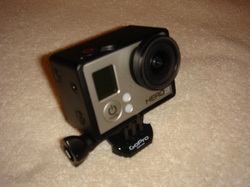 Same as above video camera, a slightly smaller version - the more the merrier. 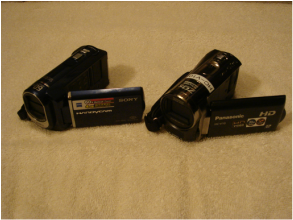 These Mini-DV tape cameras are quite cheap on the internet, most people are switching over to the digital video cameras because digital can record longer on memory sticks instead of tapes and are much smaller in size. But don't kid yourself, these cameras take exceptional video and can save you a lot of money over digital cameras. 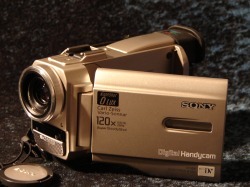 Sony DCR-SX40 Digital Video Camera; Panasonic HC-V10 Digital Video Camera. A slight variation in the above cameras, these are extremely compact and can fit in your pocket. 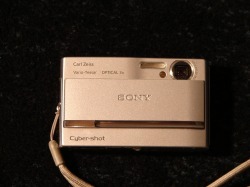 They do not record on a mini DV tape, but have their own memory stick to accept digital videos. The advantage of these digital video cameras over the mini DV camera is that these will record hours of video at a time, there's no tapes to change. Turn them on and forget about it. But you need to make sure these cameras can record in Full Spectrum Light or Infra-red Light, otherwise they will only record darkness at night even if you use infra-red lighting. They must be capable of recording in darkness. Very nice video cameras for a relatively cheap price. This is a great little video camera because it's very small, records in HD and you can either set it on a table or wear it on your head or cap. How many times have you watched those paranormal ghost hunting TV shows and every time they see something it's always off camera? This is the solution...wear this camera on your head and it will see everything you see, every time you turn your head to look it won't miss a thing. It sees what your eyes see at any given moment. Great camera, great video. A tripod is essential if you're going to take video in a room and leave your camera running. You can mount your video camera on the tripod and it will keep it steady and locked in position while you record - you don't have to hold your camera all night long and get shaky videos. This way you won't have to be in the same room, but can monitor an area while you're investigating somewhere else. Recording in the dark also requires an infra-red light source and there are small attachments for these lights that mount directly to the tripod along with the camera. Tripods come in all sizes, many are much more expensive than others, but you really only need a basic tripod that won't cost you an arm and a leg. There are even table top models that are extremely small, cheap but very durable. I have several regular tripods and a few table top models, you never know the circumstance of which one you'll want to use. For the clearest, most stable videos where long recording times are required....use a tripod. Digital cameras are a must to gathering evidence. One advantage of digital over film cameras is that you can view your pictures immediately for captured activity and determine if there's a "hot spot" to take more pictures. Many like to use digital, while others swear by the film cameras. In my opinion, any digital camera works great and I've had excellent results with my digital cameras. Trail cameras, or game cameras, are excellent ways to capture pictures or video in areas where you cannot monitor yourself. These cameras work off of built-in motion sensors and only snap a picture when they detect movement. They're capable of taking great pictures in daylight and also have infra-red sensors and flash for night photos, which make them a great choice for paranormal investigations. An inexpensive great little camera for day or night. This little beauty has night vision and will stream live video wirelessly right to your laptop. The included software lets you record, edit and save all of your videos. Set up a command center and use several cameras throughout your location, monitor many areas at once and never leave your chair. Add more cameras when your budget can afford it. An excellent addition to any paranormal investigation. A thermal imaging camera, also known as an infra-red or heat sensor, is a device that forms an image using infra-red radiation, known to all of us as heat. These imagers are extremely useful to paranormal investigators because they can show areas or images where heat exists, something that is believed the energy from spirits could possibly generate. Spirit movement can sometimes be captured by these devices that the naked eye does not detect. Warm areas can also be captured when someone or something has been seated in a chair or has placed their hand on a wall, as shown in this example picture on the left, even when no other physical person was present to account for this. Thermal imagers are used by many of the ghost hunters on TV and have been known to show the image of a person that is not detected by the naked eye or any of their video equipment. There are many thermal imagers on the market, most start at around $1000 and go up from there, but FLIR Systems, Inc. has developed a much more affordable version for under $350 that attaches to the iPhone or Smartphone. This is the unit we use. If you happen to own a Smartphone, you're already halfway there. The functions and results of the FLIR ONE device are as good as their expensive units, using the smaller iPhone screen instead of the larger screens on some of the other devices, making it much more portable and accessible. It also has the capability of taking pictures and video and storing them on your phone. FLIR and other imaging manufacturers have finally made it affordable for anyone to own a thermal imager if you own a Smartphone. I highly recommend owning any kind of thermal imager, no matter which one you choose to purchase. The results just might scare you! Taking pictures or videos at night or in dark areas requires a little help with special lighting, and infrared lights are the way to go. 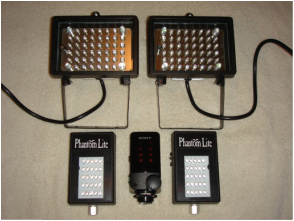 These devices come in many sizes, the size depending on how many LED's, or "light emitting diodes" are required to give you enough light for what you want to capture with your IR cameras. They work extremely well because they produce plenty of invisible light for the camera to take excellent pictures or videos while keeping the room completely dark to the naked eye during the process. Keep in mind your video camera must be capable of recording infra-red or night shot images. 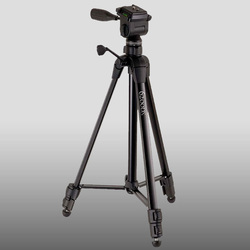 I have units that attach to a tripod that can be directional in a larger room, while others I use attach directly to the video camera and can be carried around with the camera while recording. A must-have for recording images in the dark. There may be times when you just want to light up a dark room with regular light without turning on the actual room lights. Portable ambient lighting can brighten an entire room or a small portion of it, depending on what size light source you choose. This light source is usually attached to your camera or close by, making it possible to detect shadows across the room if something passes in front of the light. Existing room lighting does not have this capability because it washes out the entire room, making it nearly impossible to detect shadows or movement. Use of these light sources can be recorded with a normal video camera. 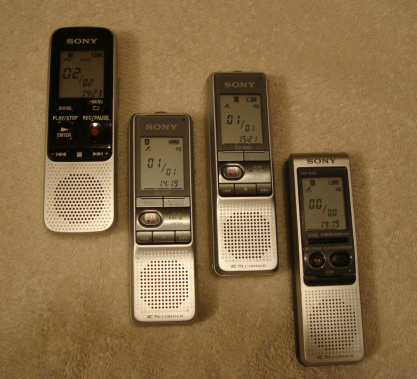 Any type of digital or tape recorder will work to capture EVP's, or electronic voice phenomenon. Just leave the recorder running and ask questions, sometimes you may get voices recorded on the tape that you didn't hear with your ears. This happens because it is believed that those voices are produced at a different frequency than the human ear is capable of hearing, but the right frequency for audio recorders to pick up. EVP's are really the most fascinating evidence you can collect. These devices are sometimes called "Ghost Boxes", but all they really are is an AM/FM receiver that uses blank frequencies to help generate words from surrounding energy. To do this, just tune the radio to a frequency not being used by a radio station to where all you hear is static, the static being called white noise. Sometimes the electromagnetic energy that may be locally present uses the white noise energy to convert the static into spoken words. Even though mine has a built-in speaker, I plug it into a pair of external speakers to enhance the sound a little more, because at times it can be difficult to hear the words clearly. The "voice" you hear sounds like a monotone mechanical robot, but it's also interesting to put the words together and try to compare them with any known history or facts of where you are investigating. The results can be very rewarding...and sometimes a little spooky! A voice from beyond using the energy you supply to generate words? You decide. It is believed that when spirits try to manifest, they draw from the energy around them, sometimes causing an electro-magnetic disturbance nearby. These detectors pick up that disturbance and when readings fluctuate, it could be something paranormal. Many things account for higher readings - wiring in walls, power panels, household appliances, overhead power lines, etc., but sometimes these normal things are not present or a contributing factor and the reasons for fluctuations make you start to wonder. There are many kinds of EMF detectors on the market, any price you want to pay, the decision is up to you. 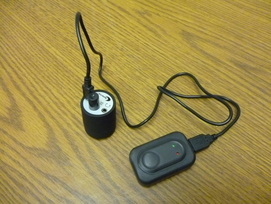 Here is the all new updated E.Probe model EP-2.0 by Colorado Para-Tech. This is the most versatile E-Field detector available. This detector picks up where regular EMF detectors leave off. EMFs (electro-magnetic fields) have three components: magnetic, radio, and electric waves. 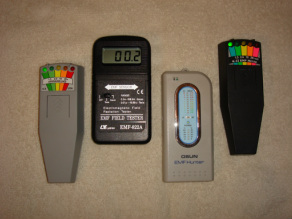 Regular EMF detectors only pick up magnetic and radio waves which normally is fine, except for the much more expensive tri-field meters, and who wants to spend hundreds of dollars on one device. The E.Probe detects the electric fields of EMFs and free floating electrical charges. This is invaluable to the paranormal researcher. With this tool, you can detect the smallest electric fields, including the electric field around the human body and, theoretically, paranormal entities. Not a necessity for every investigator, but very handy to have. A static detector is exactly what it sounds like - it detects static electricity. Since we're not exactly sure what makes up spirits or entities, it wouldn't hurt to have one of these in case they're producing static. You can buy variations of these units online for around fifty to a hundred dollars, but I made both of these units for under ten dollars each. Here's how it works - turn on the switch and the red light comes on and stays on. When a static charged item gets close to the unit, the light dims down until it goes completely off when the object is close. Then it will come back on when the charge has moved away. If you're a paranormal investigator you want to make sure you can check all aspects of electrical charges, this is just another simple method you can build yourself. There are many How-To videos on You Tube that can walk you through it. Building your own equipment is fun, inexpensive and rewarding. This little beauty is an ultra-sensitive vibration detector for checking vibrations on tables or on the floor. The one I have plugs into a set of earphones, but I plug it into an external speaker to hear it much better. It works on the exact same principle as the seismograph does for monitoring earthquakes. It picks up the most sensitive vibrations and you'll hear it through the external speaker, especially great if you're hearing footsteps walking across the floor or tapping or knocking on a table. Make sure you set an audio recorder nearby to record any noise or vibrations detected. These are great for detecting cold spots, something believed to take place when a spirit is near and trying to manifest. People often report an occasional cold area in a room, a cold draft wafting by or sudden isolated temperature drops when suspected activity is present. Thermometers set in these areas will confirm the reports. A great device for monitoring movement in hallways or rooms in another part of the investigation area when you or your team members are not present. Any kind of motion, such as shadows, ectoplasms or apparitions will set off the built-in audio alarm and you'll know immediately that there's some kind of activity present. 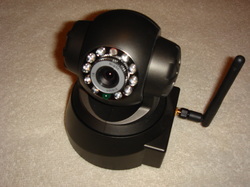 A good practice is to set up a video camera anywhere you have a motion sensor. That way when the alarm sounds, you just may have captured the evidence on film. The exact same idea as motion sensors, these laser beam sensors will project a visible laser beam line across a room onto a wall and anything that breaks the plane of the visible line will show as a line blackout on the wall, similar to waving your hand in front of a flashlight. Again, good practice is to set up a video camera to monitor this area. Working on the same principle as the laser beam sensor above, this unit is the size of a large pen and able to project a bright pattern of complex dots, or grid, onto a wall. The advantage to using a grid generator is that it covers a much larger area than a single laser beam. Once again, anything that passes between the pen and the image on the wall will break the plane of the laser and show as a blacked out area on the grid. These come in two variations, battery operated and the corded kind that uses electricity from a wall outlet. I have both, but recommend the corded because the battery operated only lasts about twenty minutes when left on. This really does you no good when your video camera runs for at least an hour on one tape, or hours when using a digital recorder. The corded costs a little more, but it's worth it and you'll be much happier when the laser runs as long as your video. An optional accessory that you must have is the special tripod that not only holds the pen, but also depresses the "On" button to keep the unit activated the entire time you are recording. A fantastic device for investigating anywhere in the dark when you don't want to ruin the dark setting with ambient light sources, such as bright flashlights. 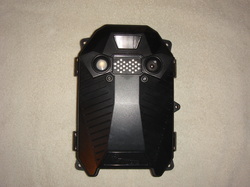 Night vision equipment makes it possible to see apparitions and shadows that you wouldn't normally see in the blackness of a dark room or area. It has been reported that spirits can sometimes give off a sense of slight radioactivity when trying to manifest. 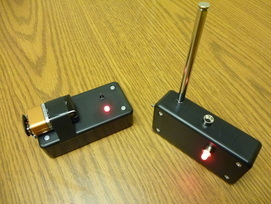 These detectors will let you know if any radioactivity is present, whether it be paranormal or some other means. When investigating large properties, a GPS (Global Positioning Satellite) unit is excellent for plotting coordinates where activity is present. That way you can go back to exactly the same place at another time if needed. It'll also keep you from getting lost in the woods - another great thing to have when investigating a huge area you're not familiar with. Communication with other team members is critical when your teams are split up in different areas. Whether it be on large properties, vacant buildings or just homes - accountability for every team member at all times is essential to completing a successful investigation. You don't want to find out later that the evidence you gathered earlier was just a member walking by your audio recorder and you didn't know it at the time. 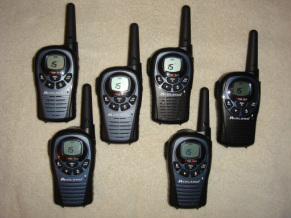 You must know where everyone is during your investigation and 2-way radios are an excellent way to keep track of your team. Computers with Audio and Video Analyzing Programs. After gathering all of your evidence, audio tapes and video, it's great to have some kind of computer analyzing programs to help you define what is going on with your case. For audio analyzing, I use Audacity - a simple, free program you can download from the internet. Any audio program will work, there are many, you will have to choose what you think works best for you. The same goes for video analyzing - pick a program and go for it. Just make sure you're patient and spend time doing your analysis. It's very rewarding when you find something, something YOU captured. Take your time, review the evidence as many times as you need to, to draw your conclusions. Your client is depending on you. Okay, now that you've accumulated all this equipment, well, maybe not all of this, but at least a number of good investigating tools and items, you'll want to not only protect these from being damaged but you'll need to transport these to your investigation site. Here's what I've done and you can do anything you want, but I went online and purchased protective storage suitcases that are lined with pluck foam rubber. The interior has 1/2" pieces of foam rubber stuck together that you can just remove what you need to accept your devices, leaving a nice bed of foam rubber protection surrounding it. 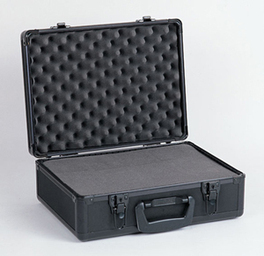 These cases can take bumps and bruises while your equipment inside is fully protected and nestled in a soft foam bed. Of course the more equipment you acquire, the more cases you'll end up buying. But I consider it a small and secure investment, much cheaper than having to replace damaged or broken equipment. Feel free to email me with any questions you may have about equipment, investigation techniques or anything else that might be of interest to you to help you become a better paranormal investigator. Thanks for your support.